Nearly New East Phoenix Take-Out and Delivery Pizza Operations - Asset Sale!! ABOUT THE ASSE SALE: SellingRestaurants is proud to bring to you a Brand New Pizza Operation located in the East Valley of Phoenix Arizona. This pizza operation is situated in an ideal location off of a Major Freeway, able to capitalize on significant traffic patterns. Positioned near other businesses & employers, the Pizza Shop is within a half mile of a local Hospital. Established during the fall of 2011, this opportunity is an Asset Sale. REVENUE: Priced to move as an Asset Sale, Financial Statements are not available. 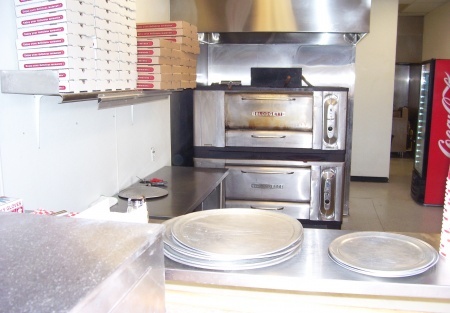 THE EQUIPMENT: There is Brand New Equipment in this sale, perfect for efficient pizza operations and to provide an excellent product to your customers. All equipment is in use to support current operations. SPACE: With 1,500 Sq. Ft., the business has seating for 26 and standing counters with room for 8. This is an ideal choice for being in business on day one. Grab this opportunity quickly! REASON FOR SELLING : Main Operating Partner with Pizza Expertise Left the Partnership. GET THE NAME AND ADDRESS: Select the red button titled want name and address and you’re on your way to seeing this business.